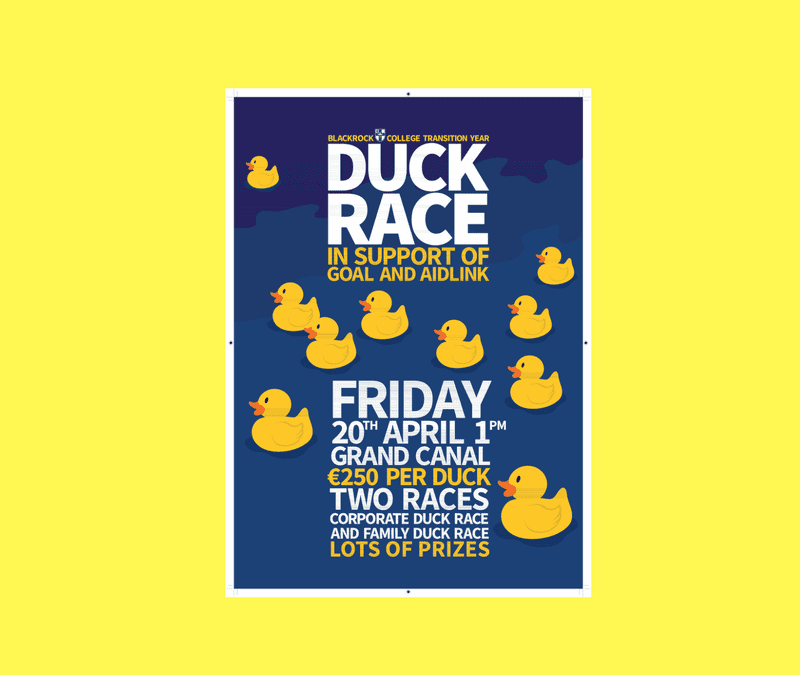 The Duck Races take place in Grand Canal Basin on Friday April 20th at 1pm with a host of fantastic prizes up for grabs.Sponsor a duck and be in with a chance to win, while supporting important and worthy causes! Sponsorship of one duck at the Family Race costs €250 and there is no limit as to how many ducks you can sponsor. As a personal donation of €250 or more, we will be able to claim back tax on your sponsorship, meaning that a €250 contribution will in fact be worth a total of €362.31! If you would like to make a donation through your company you can sponsor a duck at our Corporate Race. Sponsorship of one duck at the Corporate Race costs €250 and there is no limit as to how many ducks you can sponsor. Businesses that sponsor three ducks will have their logo featured on the Duck Race webpage. Businesses that sponsor 4 or more ducks will have their logo featured on promotional material at the race. Media outlets will be present on the day. How to sponsor a duck? Send a cheque made payable to “Blackrock College”, to Dean of Transition Year, Blackrock College Duck Race, Blackrock College, Rock Rd, Blackrock, Dublin. Please include a note identifying your sponsorship as either “Family Race” or Corporate Race” and your contact details. 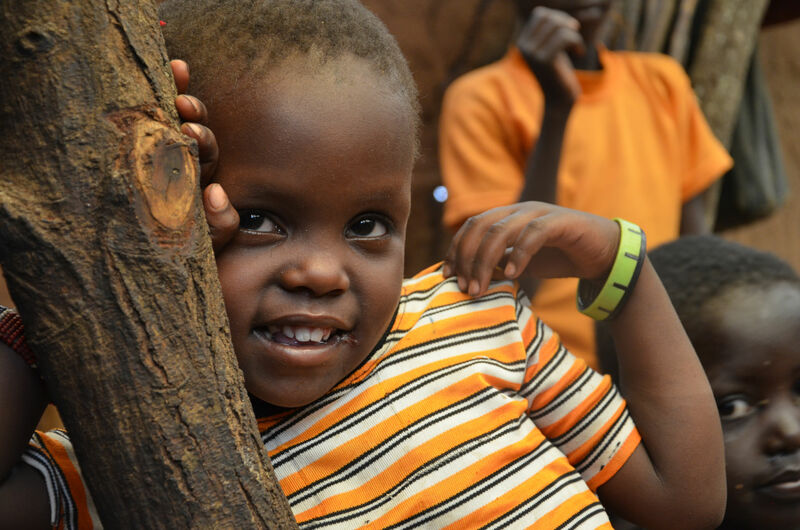 At Aidlink, our work in 2018 will focus on education;in particular improving access to primary school for some of the world’s poorest and most isolated children in rural Kenya. GOAL is an organisation that works towards ensuring that the poorest and most vulnerable in our world and those affected by humanitarian crises have access to the fundamental rights of life, including but not limited to adequate shelter, food, water and sanitation, healthcare, education and economic opportunities. Follow the Facebook Event page for updates! Photo: Taken by Aidlink partner GCN, Kajiado, Kenya 2017.